This is so gorgeous! 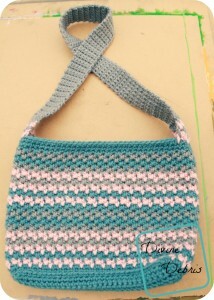 I love the stitch pattern, the color combo, and the overall design of the bag. The finished size is 10.75 by 7.5 inches.